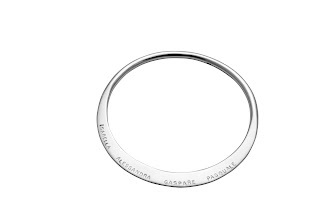 Mother's Day - Celebrate the special relationships in your life! 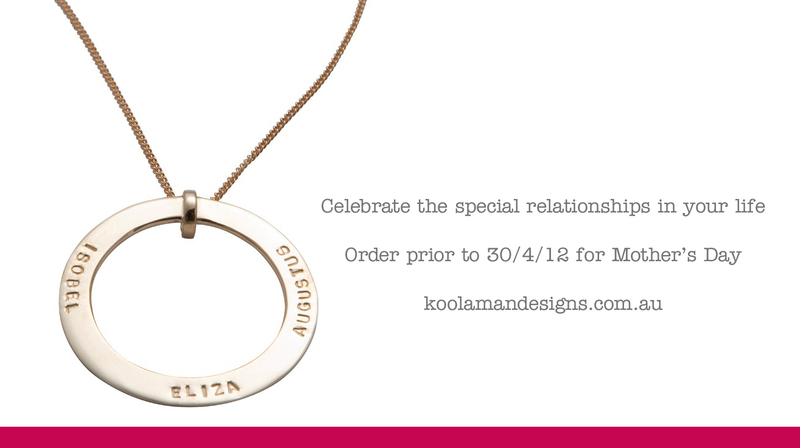 We're giving away a koolaman designs Mother's Day gift pack this year to one lucky koolaman blog reader! You can win a LIESEL bangle ($250) AUDREY pendant and 45cm large ball chain ($210) and a set of ELLA earrings ($49). 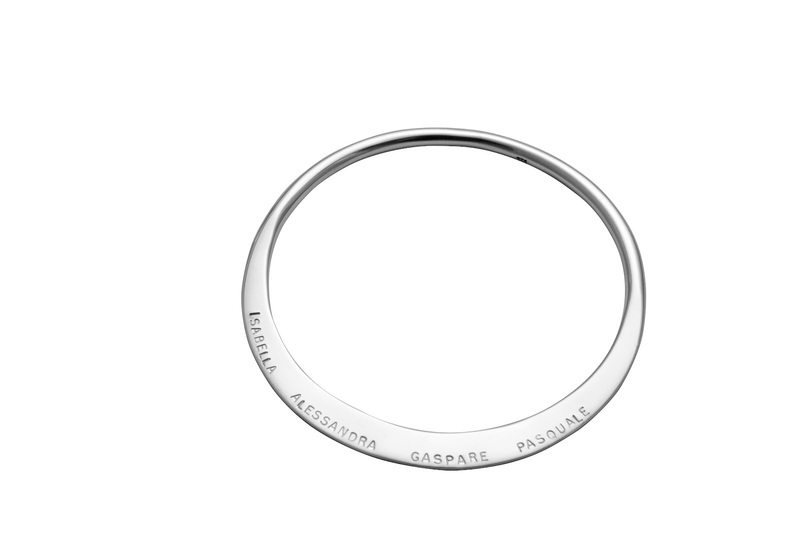 To go in the draw all you need to do is browse through our online store, decide on which piece you'd love to receive or to give someone special in your life, write the name of the piece of jewellery and why! 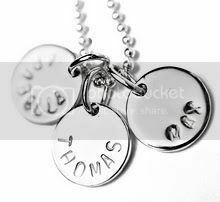 It's easy and you could win $509 worth of sterling silver hand stamped personalised jewellery by koolaman designs ! We're really busy hand stamping koolaman designs for Mother's Day. Just a note if you're thinking about giving koolaman designs this Mother's Day pop your order by midnight 30th April. The only exclusions for this are orders taken on the weekend of the 5th and 6th May at Broken Hill AgFair, Mathilda's Market Adelaide, Magnolia Square Malvern and Handmade Canberra will be stamped and sent in time for Mother's Day. 2. To enter, simply comment on this post with your favourite piece from the koolaman designs online store. Tell us who (you can get it for yourself) you'd like to give it to and why? 3. Include your email address or a link to your website/blog where I can comment or find your email address. 6. The sterling silver prize consists of a LIESEL bangle ($250) an AUDREY pendant and 45cm large ball chain ($210) and a set of ELLA earrings ($49). 7. Competition opens 8pm Wednesday 25th April 2012 and closes 11:00pm Monday 7th May 2012 AEST. 8. This competition is a game of skill and the winner will be based on the most interesting comment as judged by the koolaman designs team, and notified by email and via a post on koolaman designs blog on Tuesday 8th May 2012.